Feedback : Position, Velocity, Load, Realtime tick, Trajectory, Temperature, Input Voltage, etc. All acceleration related Data uses the same unit. Note : Max Position Limit(48) and Min Position Limit(52) are only used in Position Control Mode with a single turn(Joint Mode). ⑦ Results are stored at Present Position(132), Present Velocity(128), Present PWM(124) and Present Load(126). Note2) : Ka is an Anti-windup Gain that cannot be modified by users. For more details about the PID controller and Feedforward controller, please refer to the below websites. If the measured communication interval (time) is larger than Bus Watchdog (98), the Dynamixel will be stopped. Bus Watchdog (98) will be changed to '-1' (Bus Watchdog Error). If the Bus Watchdog Error screen appears, the Goal Value (Goal PWM(100), Goal Current(102), Goal Velocity(104), Goal Position(116)) will be changed to read-only property. The Maximum velocity of Profile can be set with this value. 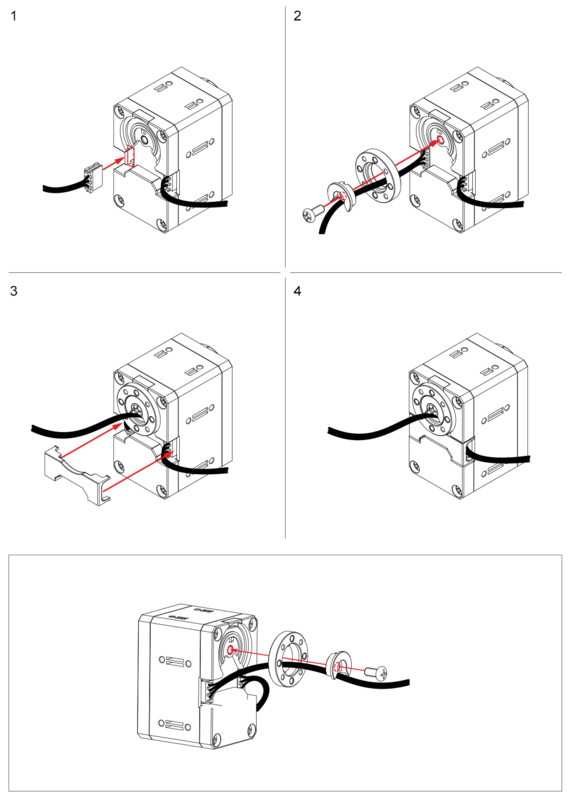 Profile Velocity(112) can be used in all control modes except Torque Control Mode and Velocity Control Mode. Profile Velocity(112) cannot exceed Velocity Limit(40). 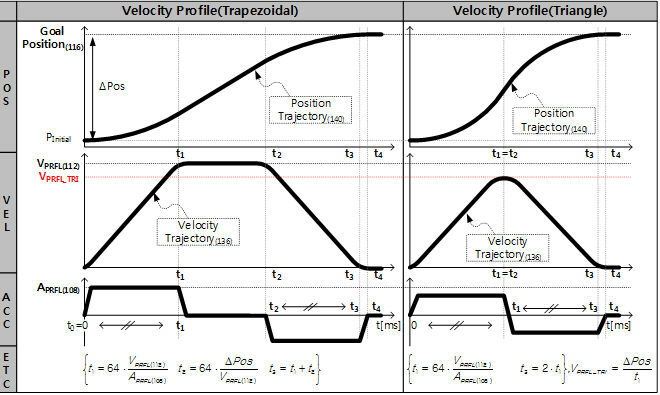 Velocity Control Mode only uses Profile Acceleration(108) instead of Profile Velocity(112). This value provides additional information about the movement. Following Error Bit(0x08) and In-Position Bit(0x01) only work with Position Control Mode, Extended Position Control Mode. This value indicates present Load on the Dynamixel. For example, if Present Load(126) has a value of '500', this means 50[%] of load is being applied to CCW direction. 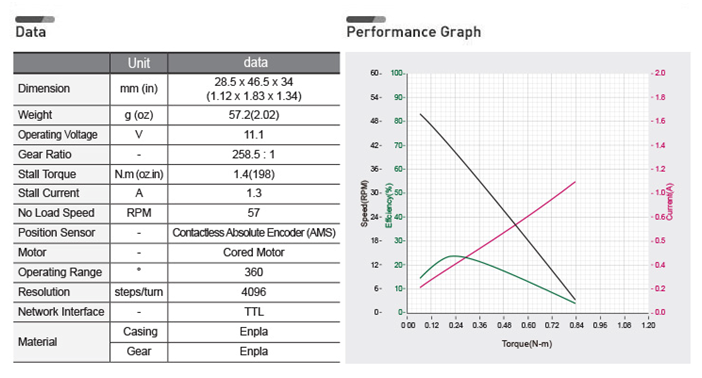 Note : Present Load is not a torque sensor measurement, but a calculated value using internal output value. Therefore, this value might not suitable for measuring weight or torque. It is recommended to use this value to estimate the torque and direction of the torque on the corresponding joint. This is a target position trajectory created by Profile. 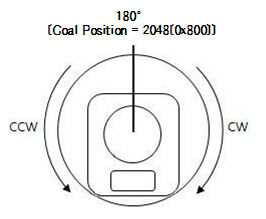 This value is only used in Position Control Mode, Extended Position Control Mode. For more details, please refer to the Profile Velocity(112). B. Set Indirect Data 1(224) to ‘1’ → LED(65) also becomes '1' and LED is turned on. C. Set Indirect Data 1(224) to ‘0’ → LED(65) also becomes ‘0’ and LED is turned off. E. Set 4[byte] value '1024' to Indirect Data 2 → Goal Position(116) also becomes '1024 and Dynamixel moves. 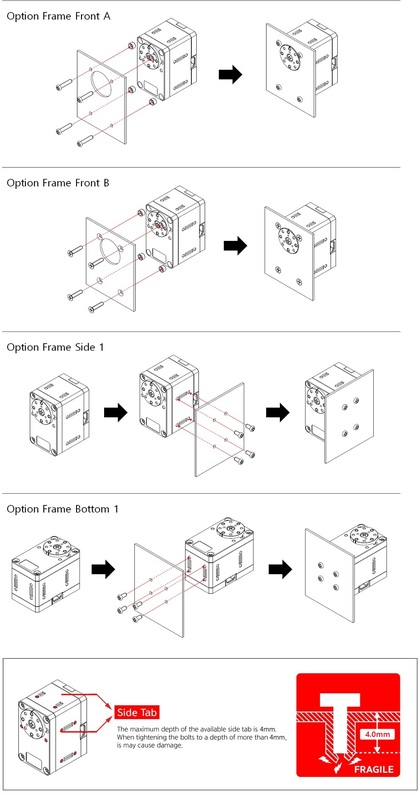 Do not assemble both cables through the hollow case as it could damage cables. Taps on each side of the body are self-tapping holes. Be careful not to use these holes repeatedly as it could damage the thread in the hole.